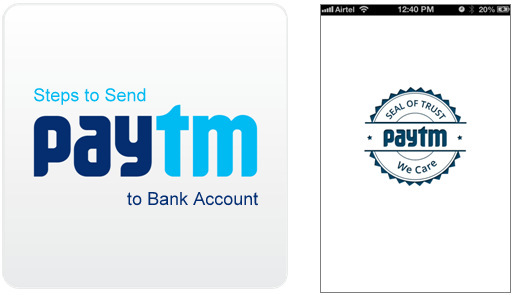 Paytm, as country’s leading e-wallet has come to support people and economy in the immediate effects of the sudden demonetization of INR 500 and 1000 currency notes. Making it easier for people to continue with their everyday tasks despite the cash crunch, Paytm enables instant money transfers to bank account. The money collected in the Paytm wallet can be transferred directly and will be reflected in the bank account within a few seconds. 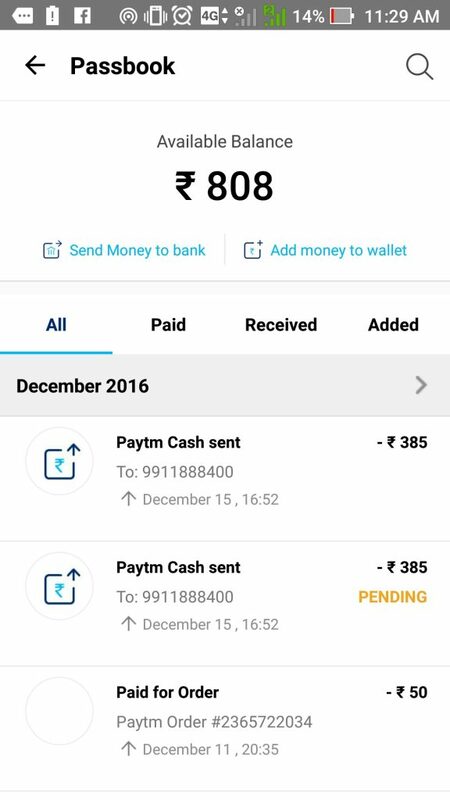 1 – Open Paytm wallet (if you have not yet download it now) and Click on “Passbook” option. 2. Click on “Send money to bank”. 3. 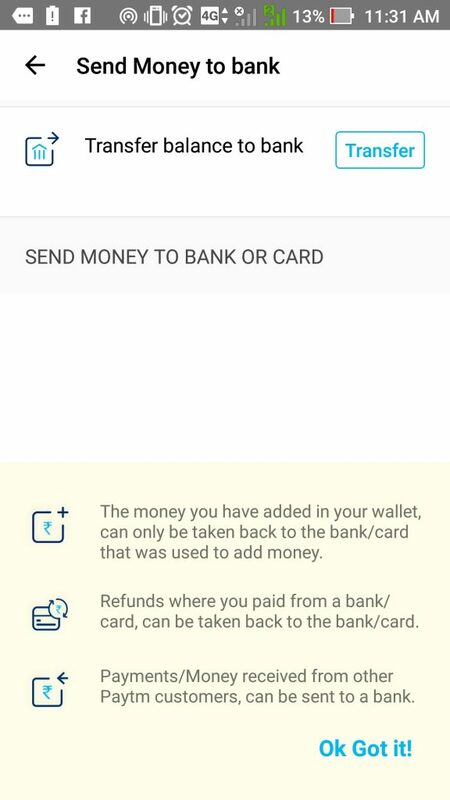 Select where you want to send money, it can be card or the bank account. 4. 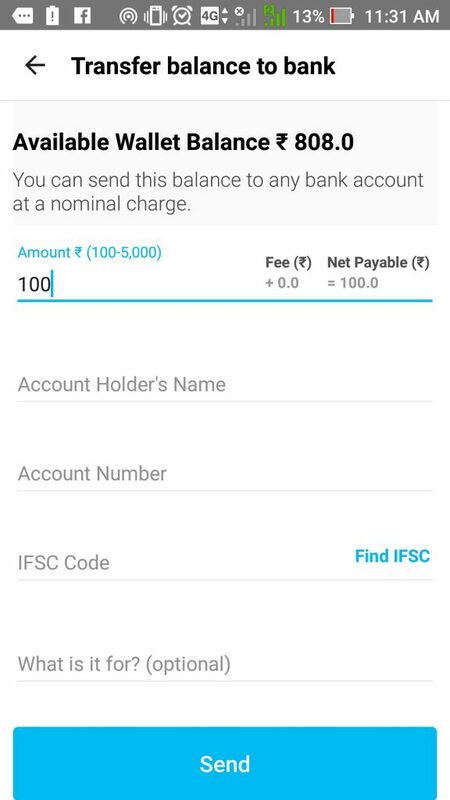 Fill Bank A/C number, Amount, Name, IFSC and Comment. And in couple of hours your money will reflect in your bank account. 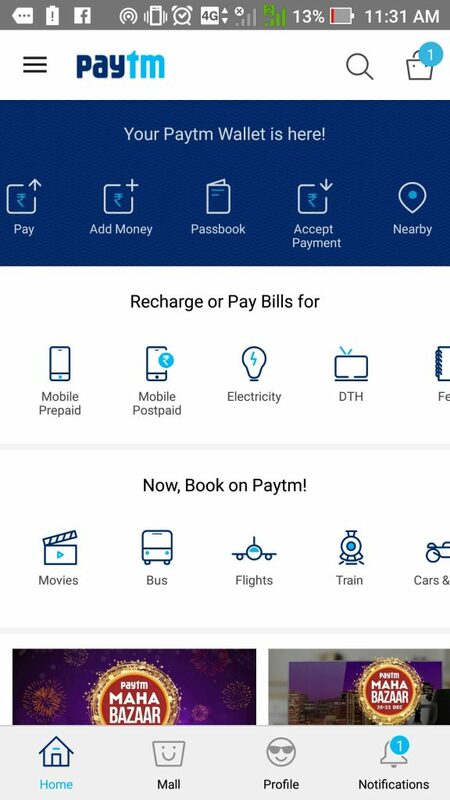 So if you are a small scale service provider or a shopkeeper, now you can accept payments easily through Paytm and then transfer that Paytm money to your bank account with some simple steps.